What I found interesting is that GRRM didn't make the chart (he's #10 in the list). I was really amazed about Andre Norton. 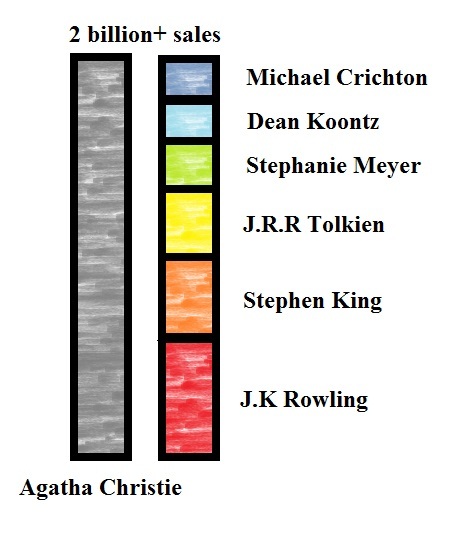 And it’s too bad she isn’t dead today like Agatha Christie still is. “Moon of Three Rings” was a pretty mind-blowing experience for me as a teen.